Newsletter from Mango: Is Your Cat Fat? Taylor and Buddy are working on inventory quality control, so I’m writing. Here is the long-awaited article on maintaining a beautiful, healthy figure. 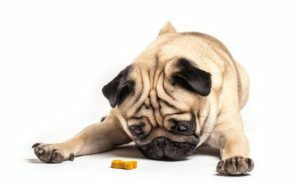 Dogs are overweight when their weight is greater than 15% above ideal. They are obese when they are greater than 30% over their ideal weight. For cats, the percentage of obesity is only 10-15% above the accepted average weight. Why do we get fat? BECAUSE WE LIKE TO EAT! 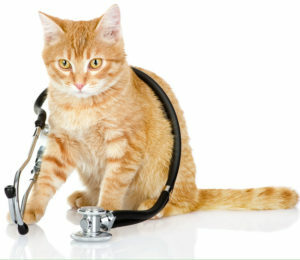 Ok – sometimes it can be a medical problem, but your vet can tell you about that. YIKES! Who wouldn’t want to avoid those issues! Exercise in proportion to our food intake is important. But there is one more thing: if you lead a sedentary lifestyle, eating less food is not necessarily good for you either. You need the right amount of nutrition every day too! Feed us 3-4 small meals a day, preferably raw or freeze-dried food, or a good quality canned. Don’t use the “free-fall” dry food feeders – there are now portion controlled feeders at the Cats and Dogs store that are a better solution. Take a look at Fromm, Orijen and Acana – those are my favorites (there are many others). The store has raw and freeze dried foods too. Depending on how overweight you are, a trip to the vet might be a great place to start your weight loss program! If you simply eat less food, you will be hungry and perhaps a bit grumpy about it. You may also begin to suffer from malnutrition! Fresh or frozen fruits and vegetables are just as good for cat and dog snacks as they are for people! Good vegetables to offer your cats and dogs are chopped carrots, peas, broccoli florets, green beans, zucchini, lettuce, spinach and catnip. We cats AND dogs should NOT eat garlic, onions, tomatoes, avocados or mushrooms. No cherries, asparagus or grapes either please! The store also has some low calorie snacks that are yummy! Ok – so did this article convince you about the importance of staying trim and at your proper weight? I hope so! Buddy says, if you have a great story to share with us about this, PLEASE EMAIL US. We will add it to this article to share with and inspire others! Q: Did you hear about the cat who swallowed a ball of wool?